The European eel (Anguilla anguilla L.) is a critically endangered fish species, the recruitment of which has declined by 90 – 99% since the 1970s. Restoration of the population is difficult, since the species has a complex life cycle and fundamental biological questions still remain unanswered. As an example, the exact location of the spawning grounds, and the marine migration routes to the presumed spawning grounds in the Sargasso Sea, have not yet been elucidated. Mapping these routes and understanding the migration behaviour can teach us how eels handle their available bio-energy budgets for successful spawning, and what potential bottlenecks (e.g. effects of pollution, non-native parasites and delays near migration barriers) may jeopardize successful migration and consequently spawning. 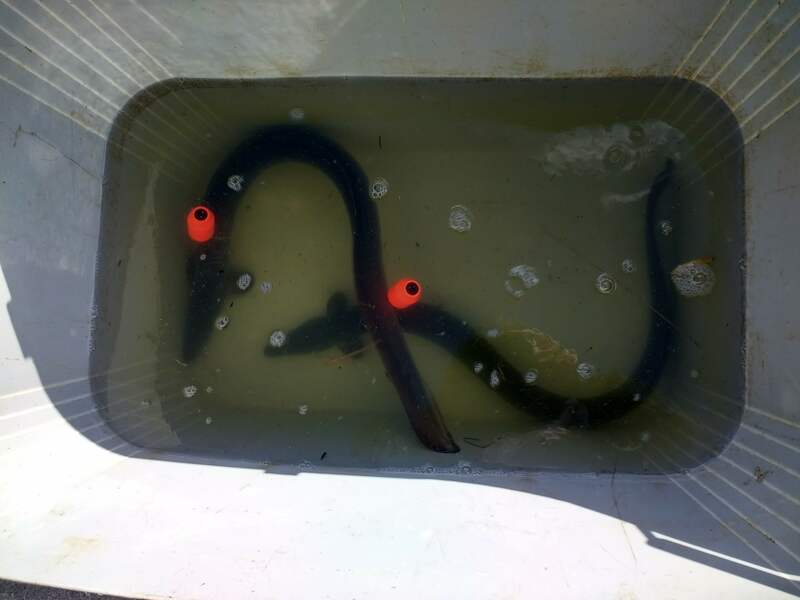 It has been hypothesized that eels may spend 1.5 years at sea before reaching the spawning grounds, which has important bio-energetic repercussions considering that the species ceases feeding at this life stage. In addition, migrating eels may serve as an important food source for a variety of marine predators. Eel migration is an annually recurring event over a large spatial scale. Consequently, a substantial reduction in eels may have important consequences for the population dynamics of large marine predators such as sharks and tunas. To address some of the above-mentioned fundamental knowledge gaps, the Flanders Marine Institute (http://www.vliz.be/en/node/16), Research Institute for Nature and Forest (https://www.inbo.be/en) and Ghent University (http://www.marinebiology.ugent.be/) started tagging 100 eels with pop-up data storage tags (http://www.cefastechnology.co.uk/products/data-storage-tags/pdst/) in the framework of the European LifeWatch project. 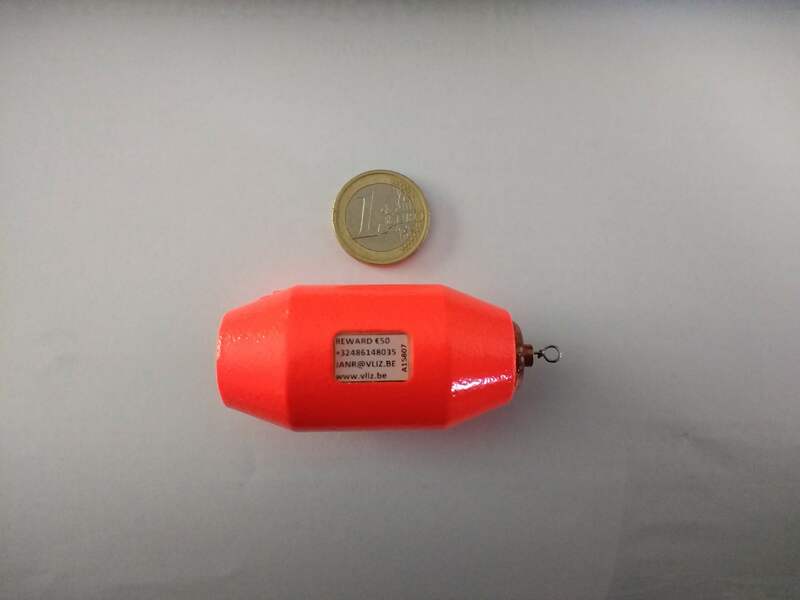 These tags record temperature and pressure and pop off after a predefined time (6 or 12 months). If you would find a tag, please contact the person mentioned on the tag so we can retrieve the tag and the valuable information it contains.